It seemed like such a sure hit, most of us wondered why it took so long. 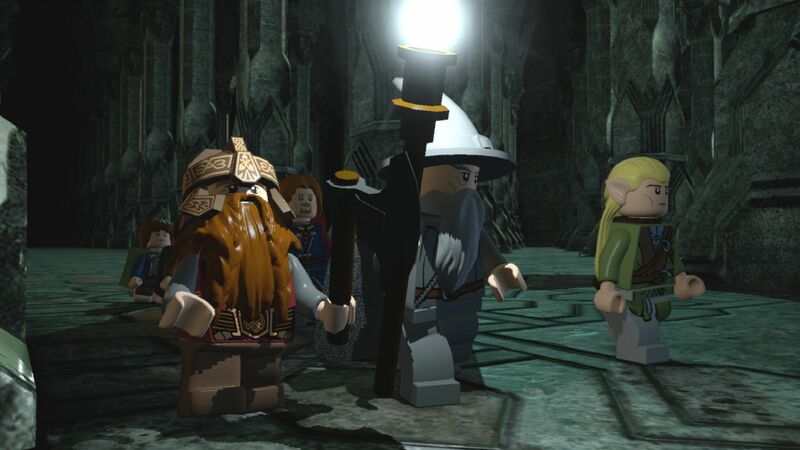 Well, the wait is over; today, Warner Bros. Interactive Entertainment announced Traveller's Tales is currently working on Lego Lord of the Rings. I recently had a chance to get an early look at next week's E3 demo, which follows the Fellowship in Balin's Tomb, from Pippin's accident at the well to the battle with the orcs to the final showdown with the cave troll. 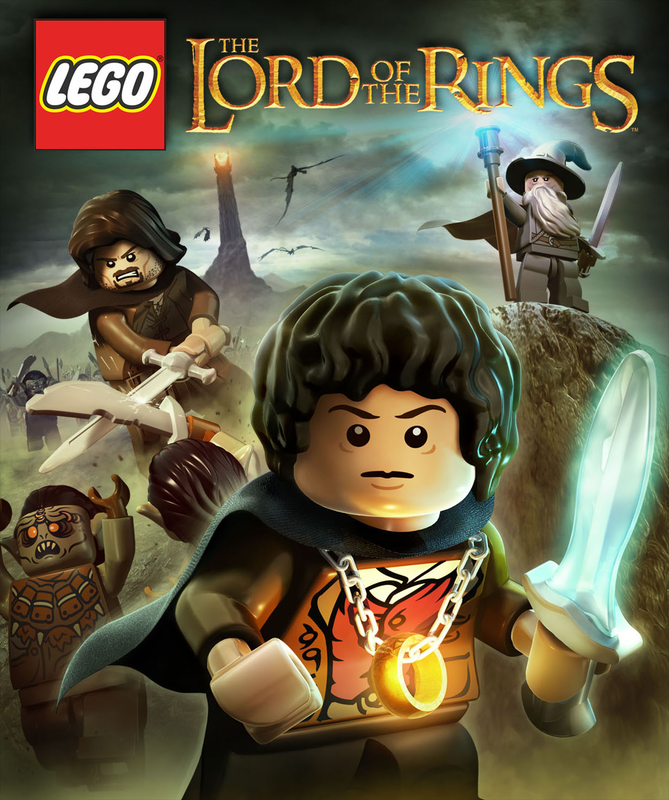 The game features the full Fellowship, and presumably several unlockable characters, and all the voices are provided by the cast from the film. Yes, the Lego series appears to be moving away from the gibberish dialogue and pantomime featured in previous games. It's a bit odd at first to look at these comically blocky figures and hear the gravitas in Ian McKellen's voice, but I think it works overall, particularly because the situations and animations still have that slightly silly Lego feel. In true Traveller's Tales fashion, each of the characters has unique abilities that you'll have to use to get past certain obstacles. Sam Gamgee, for instance, has a tinderbox he can use to burn certain objects in the environment. The mechanic should be familiar to Lego game fans; the bounty hunters in Star Wars and Batman in his own game each had bombs that could destroy certain parts of the environment. In the case of Balin's Tomb, Sam has to burn a pile of wood to get at a key the Fellowship needs to open a nearby chest. The game also adopts that slightly humorous take on the situations and characters the Lego series is known for. Gimli's power, for instance, is that he can be thrown through certain walls to unlock new areas and items. Here, Gimli's got to knock down a wall to get at the crank the Fellowship needs to wind the bucket up the nearby well. Each character also has a unique fighting style, so when the goblins come rushing in, you'll find that Gimli and Legolas don't fight the same way. As an archer, Legolas is also useful for hitting out of the way switches with his arrows. It works exactly the same way the blaster characters worked in Star Wars, except instead of shooting red targets to drop crates on Stormtroopers, you're shooting red targets to gain access to the materials you need to barricade the doors leading into the Tomb. Not surprisingly, the powers all suit the characters and the circumstances of the movie. During the fight with the cave troll, for instance, Legolas' arrows play a key role. The player will have to lure the cave troll into using his chain to strike at key points in the environment. Once his chain gets stuck, the hobbits have a chance to jump on the troll's back and give Legolas a chance to shoot him in the eye. It's all very faithful to the source material, which is no surprise if you've played Traveller's Tales versions of Star Wars, Batman, Harry Potter, Indiana Jones or Pirates of the Caribbean. There's still lots more to talk about with this game, such as which other heroes or villains we might get to play as, if the co-op play is being extended beyond the couch, or if we'll see a Hobbit expansion. We'll be swinging by to check out the game again at E3 next week, so be sure to come back for more updates.